Butcher Babies performing at Rockfest in Kansas City. Photo by Keith Brake Photography. Rockfest K.C. 2018 is in the books and my oh my what a day of music. For those of you who can’t get enough live music crammed into one day this is the party for you. Sixteen bands across two stages in twelve hours this past Saturday was a music lover’s dream come true. This is the twenty sixth year straight that the Kansas City area has been treated to a festival of this nature, and all twenty six years there have been two things you can count on at a Rockfest; Worth Harley Davidson and 98.9 “The Rock”. From the beginning 98.9, with help from Worth HD, have been masterminding one of the better live events in the Midwest. Five Finger Death Punch performing at Rockfest in Kansas City. Photo by Keith Brake Photography. This year the event was being held at the Kansas Speedway for the first time. I spoke with staff and fans alike that had only positive things to say about the new location and I must agree that it is a fine place for a rock show. 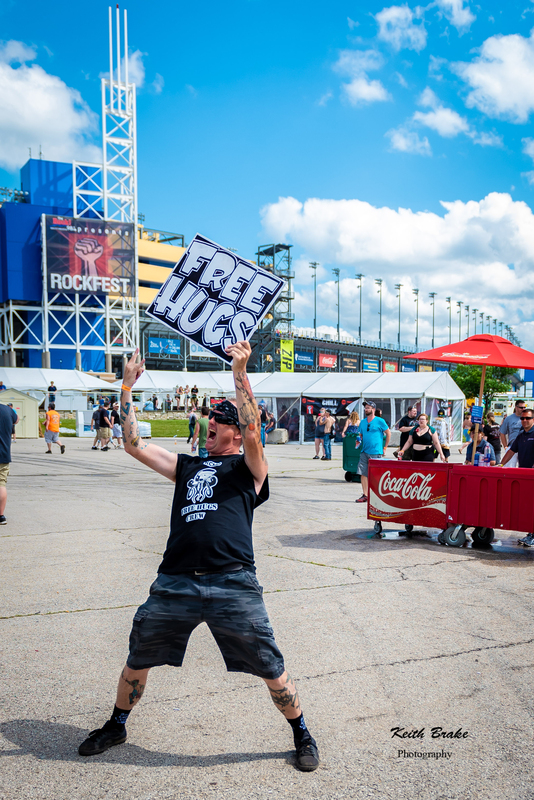 The Speedway was arranged with two stages of commiserate size and production and the action, once started, continued nonstop until the fireworks show signaled the end to yet another successful Rockfest. Powerman 5000 performing at Rockfest in Kansas City. Photo by Keith Brake Photography. 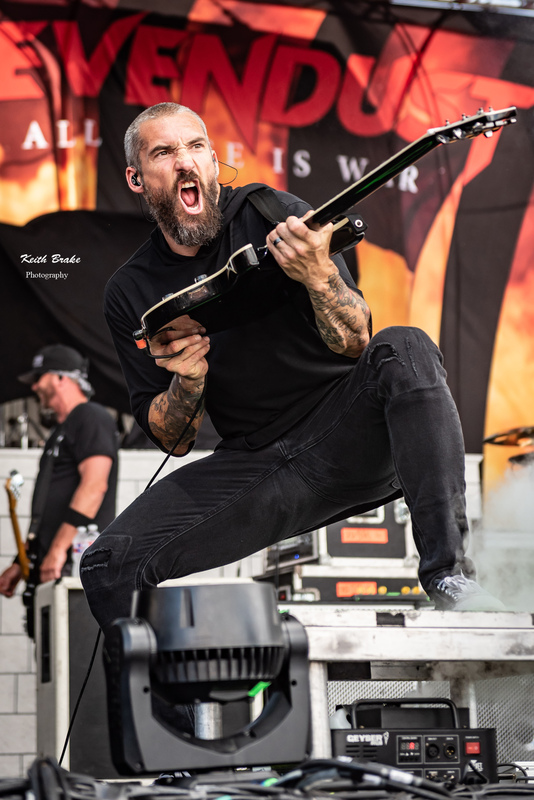 There was plenty of star power in the lineup for both younger and older fans alike, Five Finger Death Punch, Stone Temple Pilots, Butcher Babies, Sevendust and so many more. Sevendust performing at Rockfest in Kansas City. Photo by Keith Brake Photography. 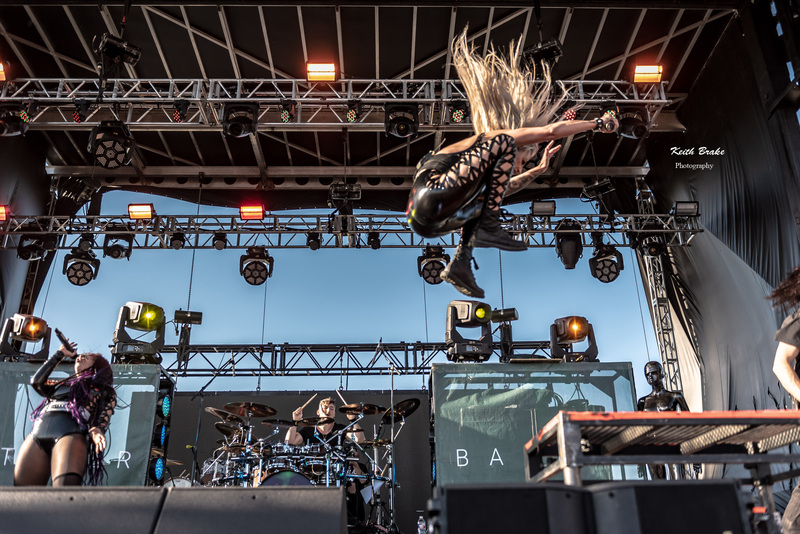 The crowd was in high anticipation as the Butcher Babies took the Worth HD stage and they were not disappointed as Heidi and Carla brought the energy and love for the crowd that they are famous for. This set would turn out to be a crowd favorite and highlight of the event. Other stand out performances came from hometown boy Lajon Witherspoon and Sevendust. Playing Rockfest as the last show on their current tour, Lajon and the boys brought tremendous energy and gave the sold out crowd everything they had. 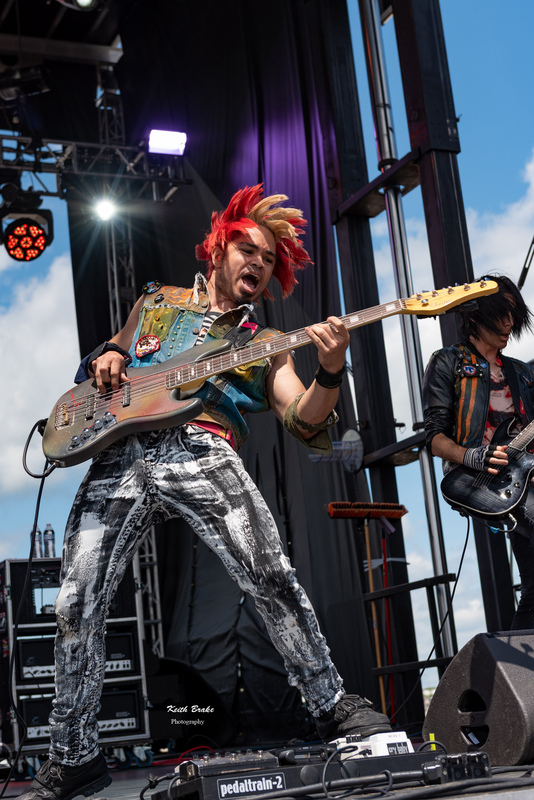 Photos from Rockfest in Kansas City. Photo by Keith Brake Photography. Stone Temple Pilots’ set was beyond impressive to me. Any time a group has to replace a vocalist for any reason, much less reasons as tragic as death, it can create a rift that may not be easily overcome, but STP has found a more than suitable front man in Jeff Gutt. I will make no comparison between new and old but rather say that both are powerful and quite enjoyable, seeing these guys continues to be money well spent. 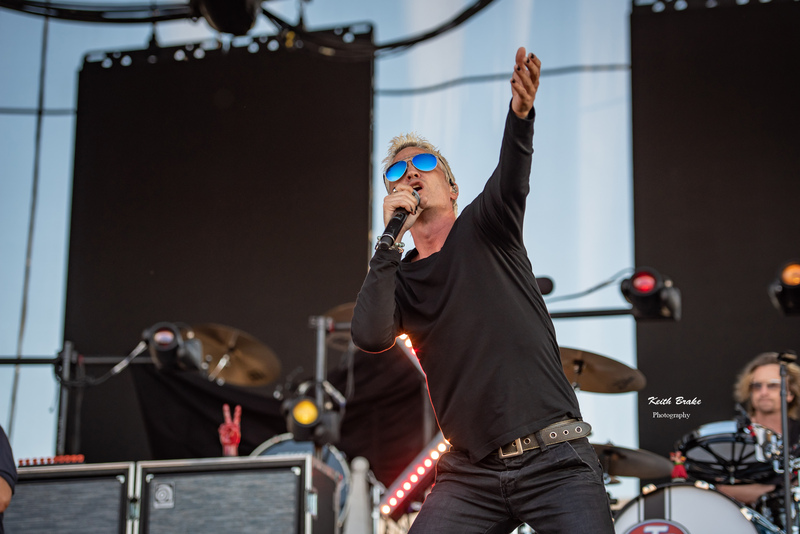 Stone temple Pilots performing at Rockfest in Kansas City. Photo by Keith Brake Photography. The evening concluded with Five Finger Death Punch and they came out swinging with their powerhouse hit “Lift Me Up”. 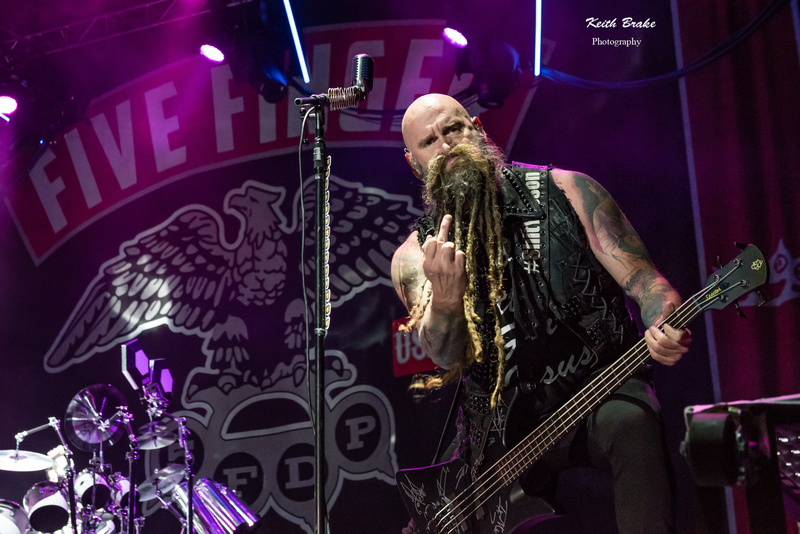 Vocalist Ivan Moody and the rest of the FFDP rockers never looked back as they proceeded to give the Rockfest loyalists the closing ceremony that they deserved. 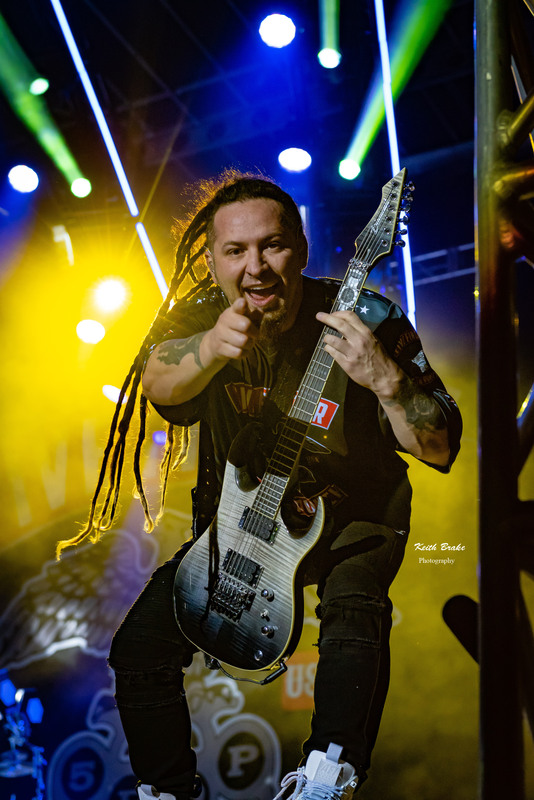 The boys were joined on stage by Bad Wolves front man Tommy Vext for “Burn MF” and by the time it was all said and done they had treated KC to fourteen songs and many being their largest hits. If you should ever find yourself in KC around this special time of year I recommend braving the heat and the crowds for what will continue to be one of the Midwest’s best music festivals. Sixteen Bands in twelve hours is something we all should do at least once, and if you’re anything like me you will want to do it every chance you get. Check out the photo gallery after the list of bands. 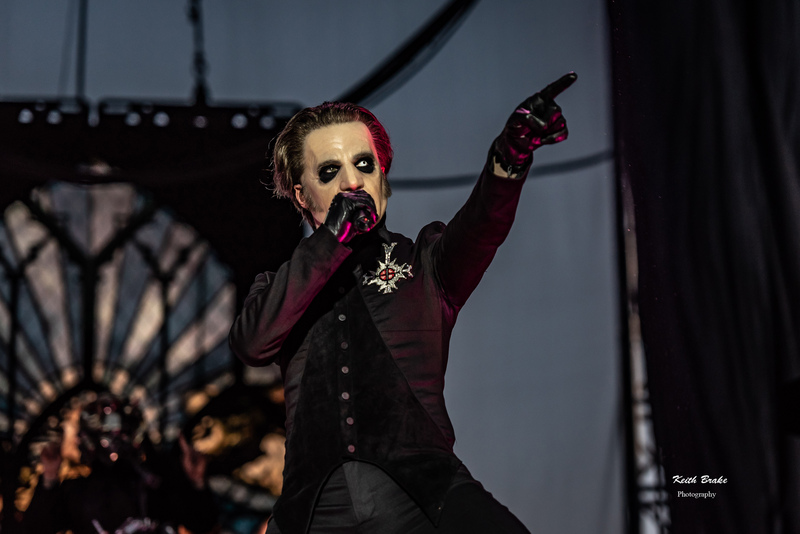 Ghost performing at Rockfest in Kansas City. Photo by Keith Brake Photography. Shaman’s Harvest performing at Rockfest in Kansas City. Photo by Keith Brake Photography. Red Sun Rising performing at Rockfest in Kansas City. Photo by Keith Brake Photography. Bad Wolves performing at Rockfest in Kansas City. Photo by Keith Brake Photography. Miss May I performing at Rockfest in Kansas City. Photo by Keith Brake Photography. Vince Neil performing at Rockfest in Kansas City. Photo by Keith Brake Photography.